War of the Roses was a game you either loved or hated. It had a challenging battling system and it took some time for one to get really good at fighting. 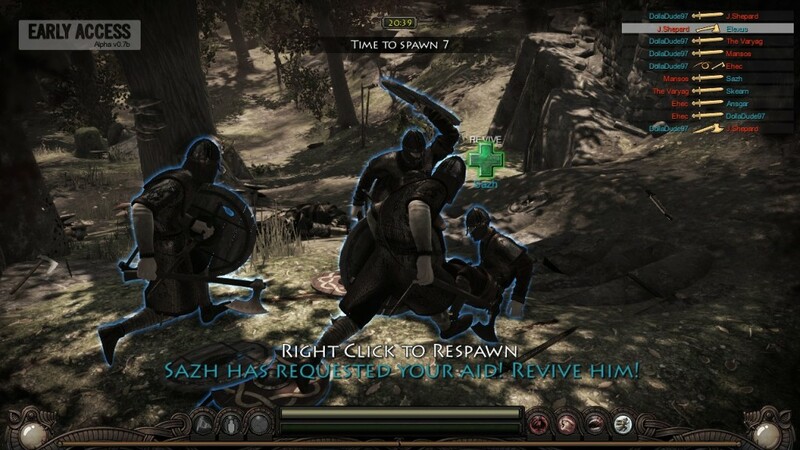 The same technology is used in War of the Vikings, the next installment of developer Fatshark. 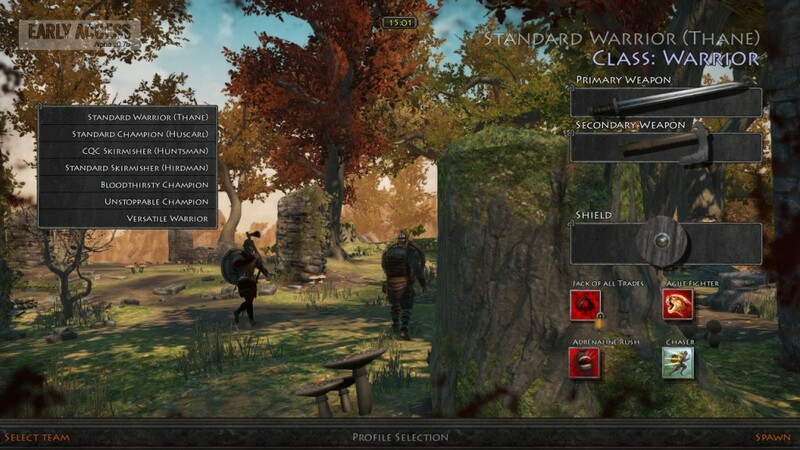 Let’s take a further look at the early access version of this brutal multiplayer melee combat game. As the title already gives away, players will be brought back to the time where the Vikings ruled the battlefields. It is well-known that they weren’t a particularly gentle kind of people and this is something you’ll notice fast enough in the game. The battles are cruel, bloody and intense, especially when you are getting attacked by multiple opponents at the same time (however it can be quite annoying when you are fighting a person one on one and suddenly an arrow pops out of your back). It’s all about going out, hunting for a prey and trying to take him down before his teammates spot you. This may sound easy at first but the reality is quite the contrary. There are so many factors you have to keep in mind like hidden archers, flying axes and everything that happens behind your back. Frequently, when you run to your target or even when you’re already fighting him, other players will jump in and it doesn’t take much to change a duel into a small scaled war. Suddenly, enemies are at every corner, teammates are slashing at everything that moves (including you) and BAM you drop dead. As chaotic it may sound, this is really where the game shines and it’s a blast to be involved in such thrilling situations. Before getting thrown in one of the (for now) three different maps, you’ll have to choose a side to play for. You can play as either a Saxon and defend England or try and take over the land as a Viking. There isn’t much difference between the two except for the clothes and overall appearances. Character customization is being worked on as we speak, so it won’t take that long to fully tweak your personage to your liking. There are 2 game modes available at this time: Team Deathmatch and Arena. The first one doesn’t need any further explanation I think. In Arena mode, things are getting really serious. Every player only has one life, so you’ll have to be extra careful if you don’t want to spend the entire time in observer mode (which happens if you die). The areas are also VERY small, so no playing hide or seek or ambushing opponents here. Inexperienced gamers should stay away from Arena if they haven’t mastered the “easier” Team Deathmatch mode yet as it would only lead to frustration. According to the roadmap of War of the Vikings, the developers will implement a third mode, called Conquest which will probably be a variation of capture the flag. At this moment, you can play with seven different characters. For beginners, it’s probably best to start with the Standard Warrior (Thane) as he is the most newcomer-friendly. Provided with a sword and shield and some throwing axes, he’s prepared for all kinds of situations. For those who like to support their fellow team players from a distance, the archers are a fine choice. 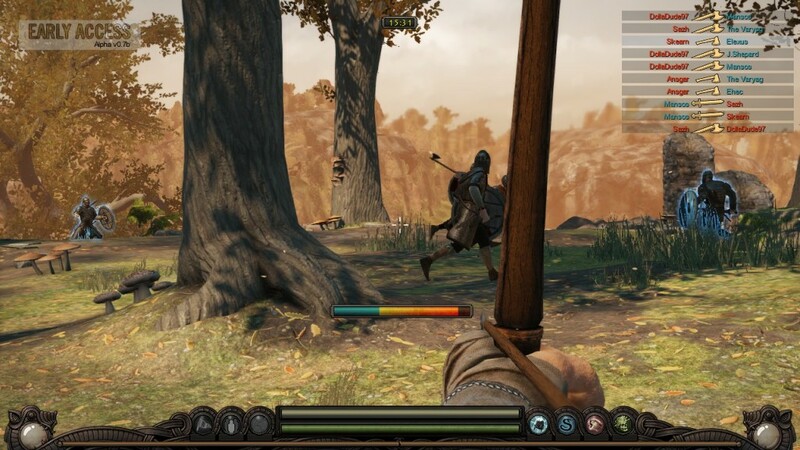 However, shooting arrows at opponents (and hitting them) requires some practice and overall, the archer is quite vulnerable to close combat attacks as he only has a tiny axe to defend himself with. All personages have their pros and cons so it’s really a matter of preference to choose your warrior. What’s more important is the skill the player him/herself possesses. You’ll only get better at this game of you play it over and over again and learn from your mistakes. Playing as a team also really helps to win a battle and for this purpose, there’s a squad system at hand that will definitely help you organize your troops. It’s a shame that there is no tutorial available at this point as it’s not really clear how you have to fight when you get dropped in the game. Luckily, the tutorial is scheduled for next month so newcomers will have some guidance before entering a server. As I played some matches, it occasionally occurred that I was thrown out of a game. Most likely this had something to do with connection issues so I hope this will be stabilized when the official launch is nearing. 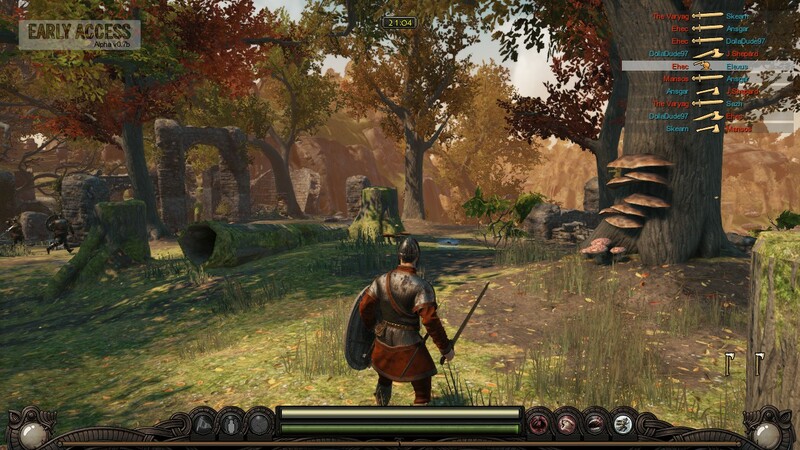 Although it’s still in early access, War of the Vikings looks very good at this date. The fighting mechanics needs some getting used to, but once you get the hang of it, it’s really challenging and fun to fight other players. Skill is a keyword here and only the best fighter or the best team will survive the end of a match. In its current state, this game is a blast to play, although not everyone will think the same. It’s hard, yes and yes, you’ll probably die a LOT at first, but it’s all a matter of how good you want to become. The more you’ll play, the longer you’ll be able to stay alive and kill other folk. There’s still much on the development program so be sure to check out the roadmap and see for yourself what new features are still to come!